Our journey to Blue Ridge, Georgia for the Blue Ridge Trout Festival started as all festivals start for us, in the preparation leading up to the festival itself. 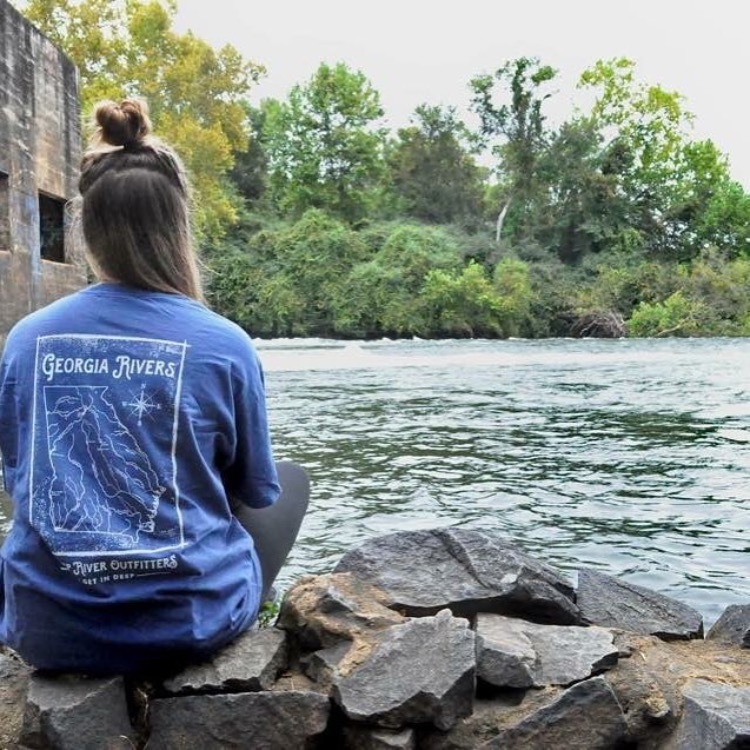 For us, Blue Ridge was a perfect location with a clear connection to the Deep River Outfitters brand and we were excited about the opportunity to make DRO known. But before we could set out for the beautiful North Georgia mountains, we had to retrieve our trailer with a flat tire resting (for about a month free of charge) at Cecil Bay RV Park 20-miles north of Valdosta just off interstate-75. Our day trip to Adel, Georgia was not without adventure as we were forced to change the tire in the rain. The great people at Fausett’s Inc took care of getting us a new tire and then suggested we try Adel Tire, another tire shop in town, when they couldn't replace our other tire that needed replacing. Talk about great service. Mr. Fausett called his competitor to assure they could help us, and when we arrived, the people of Adel Tire were attentive and knew exactly who we were and began working on our other tire immediately. Our trailer is now riding better than ever and our new tires made a successful trip all the way to Blue Ridge, Georgia and back home to Tennille without an issue…but, I’m getting ahead of myself. Our trip this weekend really started with a Fellowship of Christian Athletes Atlanta Legends Dinner at Mt Bethel United Methodist Church in East Cobb, Georgia on Thursday evening. The event was excellent and highlighted a guest panel discussion including Atlanta Falcons fullback Patrick DiMarco, former UGA quarterback Hutson Mason, and former Georgia Tech volleyball standout Kele Eveland. We were honored to be invited and really enjoyed the prime rib and roasted asparagus dinner! With a full stomach, we headed to the mountains. two-story clean hotel with basic amenities—a perfect stay for anyone wanting to enjoy the mountains and rivers nearby. The breakfast is basic with a couple hot items and an automatic pancake maker. Other guests seemed to enjoy the indoor pool, but we never made time for a swim. Upon our arrival in Blue Ridge, the city was already hard at work setting up for the one-day festival. 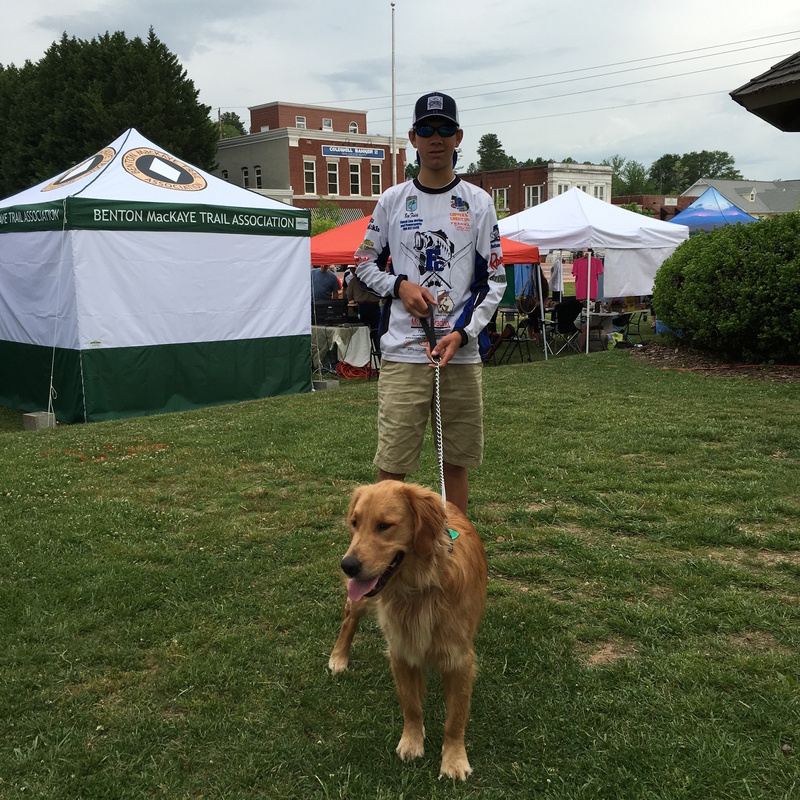 Blue Ridge may put on the best festival that we have seen yet as far as layout and organization is concerned. We parked and took to the shops. One of our favorite things to do is check out local shops in the towns we visit. 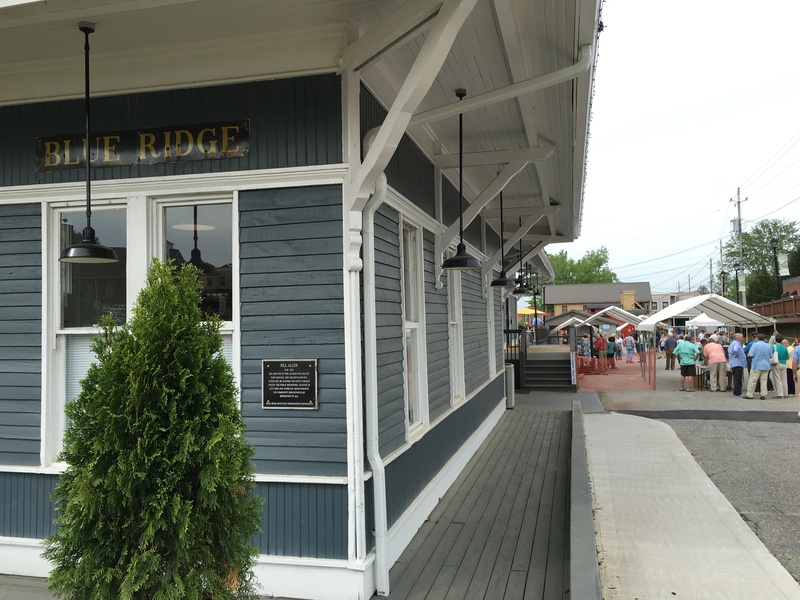 Blue Ridge has a great variety of shops including Terra Outfitters and Blue Ridge Mountain Outfitters. For lunch we tried out The Harvest on Main. We had some great sandwiches, but this isn't your mama’s sandwich shop. We asked about a side of fries and learned that Harvest on Main doesn't fry anything in house. My hamburger was juicy and full of flavor. If you're looking for a change of scenery in Blue Ridge and want to try something a little more formal (and with a seemingly healthy twist), visit The Harvest on Main. After our lunch, The Sweet Shoppe caught our attention. We were full, but the alluring smell of fresh baked cupcakes and daily flavor options caught our attention. 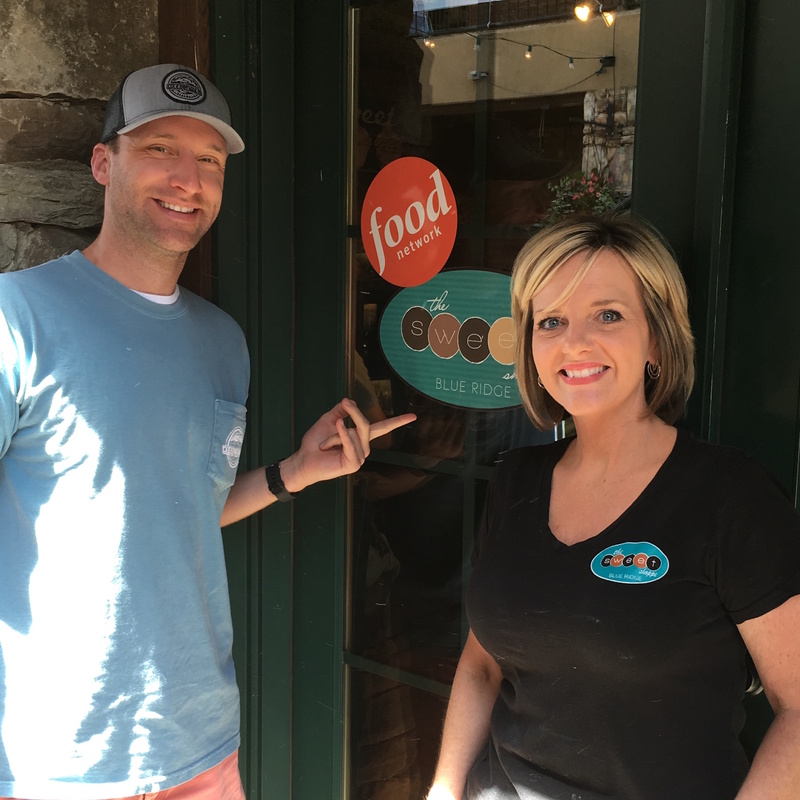 Highlighted on the Food Network’s Cupcake Wars, The Sweet Shoppe hit the spot and was a nice way to indulge on a southern sweet treat. Owner partner, Susan was a delight and made our time at The Sweet Shoppe all the more pleasurable. For Dinner we took up suggestions by locals to try Chester’s wings, and were we glad we did! Chester Brunnenmeyer’s is a rustic american bar & grill that specializes in their own approach to the traditional chicken wing. The waitstaff were friendly and attentive and the atmosphere was relaxed with creative lighting with a modern rustic feel. A lively local crowd and playoff NHL and NBA on TV’s throughout the restaurant made our visit a lot of fun. seemed to be a great showing of energetic attendants. 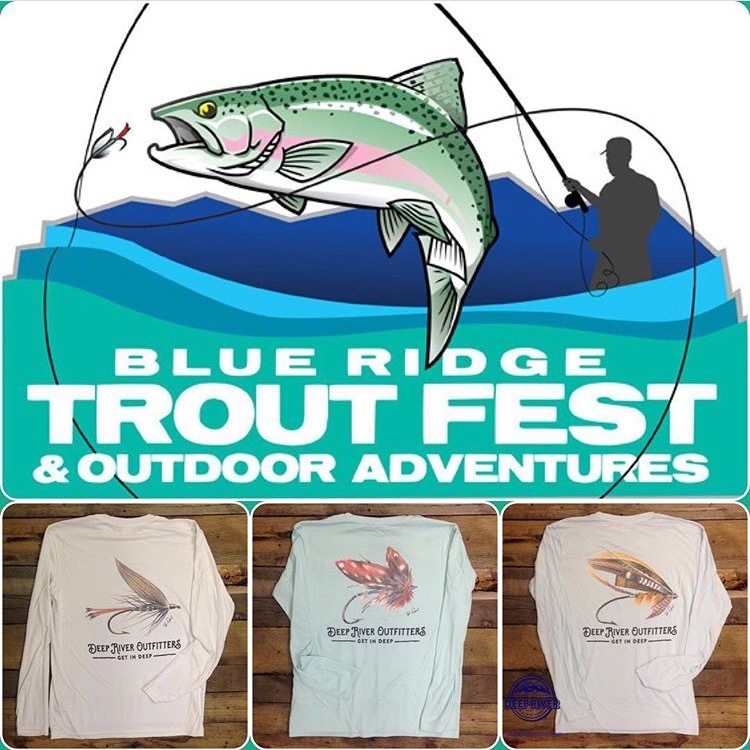 We were excited to be part of such a fun event and can’t wait to see photos of Deep River Outfitters apparel on many trout fishermen on the rivers, creeks and Blue Ridge Lake. 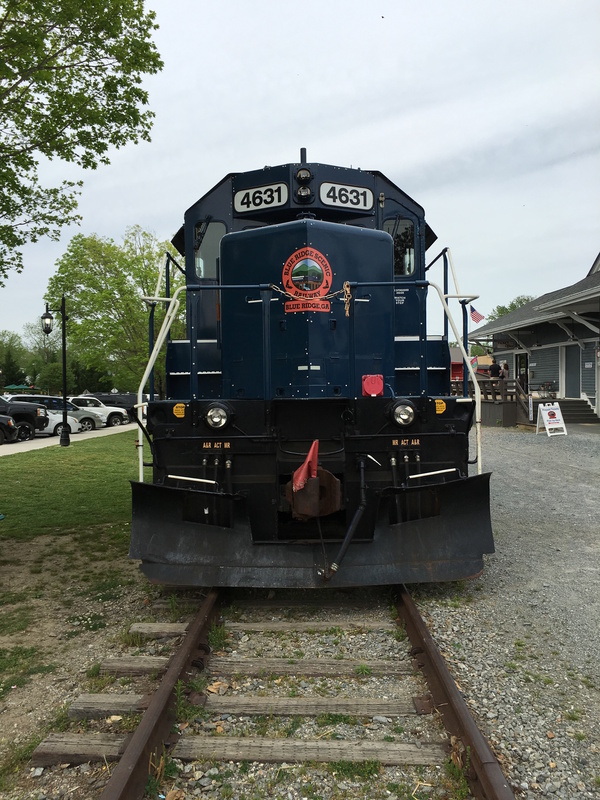 We hope to see you again soon, Blue Ridge, Georgia. 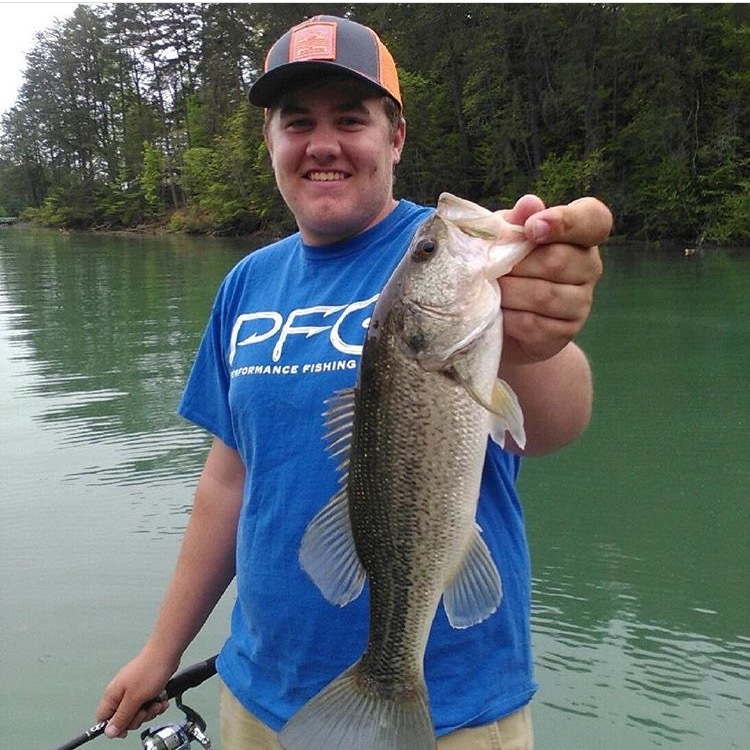 Shout out to the Fannin County Middle & High School Fishing Club! Thanks for the love.See you all next week in Columbus, Georgia at the Uptown’s Riverfest! Come see us at the Dillingham Street Bridge—we’ll be there Friday night & all-day Saturday! 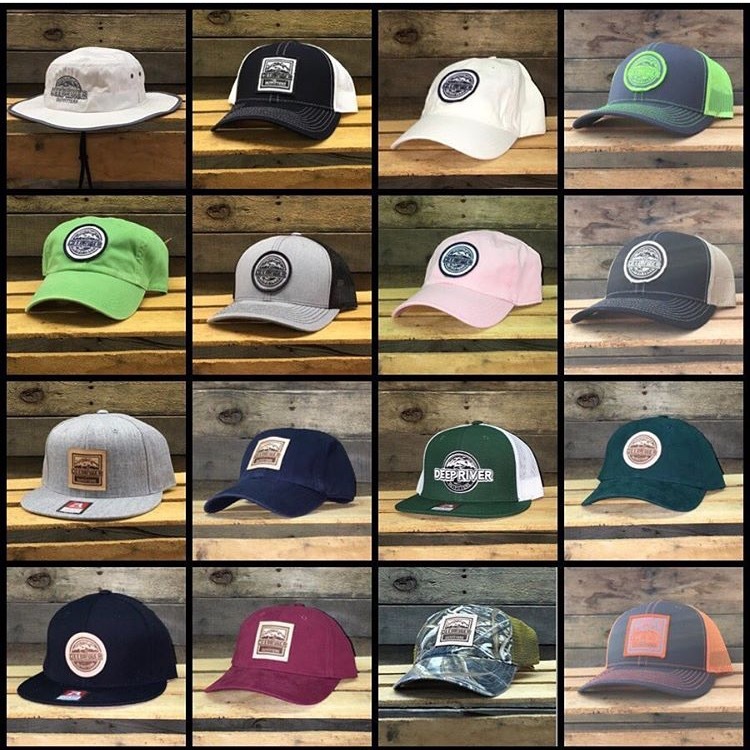 Best Sellers of the Weekend include our Solar Performance Fly Fishing collection, Georgia Rivers & a few hat selections! Don't forget to visit our virtual tent online 24/7 at shopdeepriver.com!